Trey is using Smore newsletters to spread the word online. The purpose of the Navigation Acts were to put the theory of Mercantilism into actual practice. The two rules that the colonists had to follow when trading goods were that the trade with colonies had to be conducted only with English or colonial ships. The other rule was that sugar, tobacco, and indigo could only be sold within the colonies. Something very significant happened and that was the stifling of colonial manufacturing and increasing resentment against the mother country. The Proclamation of 1763 was created after the French and Indian war. 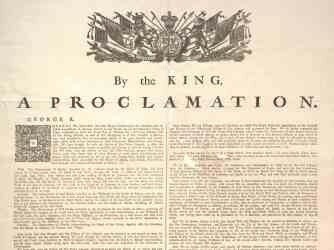 King George III issued the proclamation to avoid more conflict and tension between the Indians and the British. The colonists did not agree with this. They were angry and did not want the British to live among them. The Stamp Act taxed anything on printed paper. 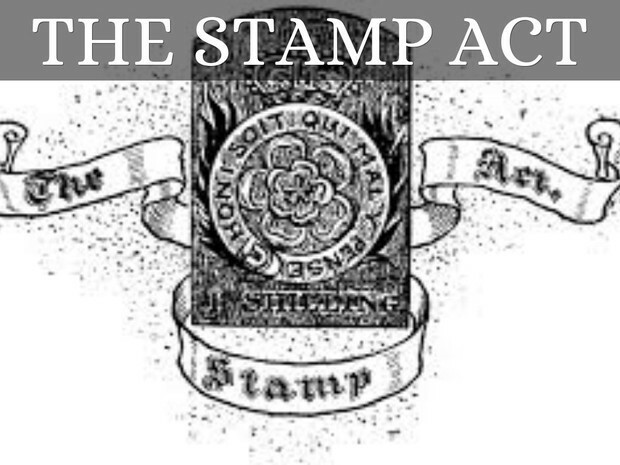 The Stamp Act was created to raise funds to protect the colonies and pay the debt. Samuel Adams and the Committees of Correspondence protested the Stamp Act by boycotting. Samuel Adams created the Sons of Liberty to protest against British policies. The Stamp Act Congress was a meeting that discussed that only colonial governments should tax the colonies. The Quartering Act was a law that required colonists to quarter, or house and feed British soldiers. Colonists had two major issues with this rule. First, they did not like having a standing army of soldiers in their house. Second, housing and supplying soldiers was costly. 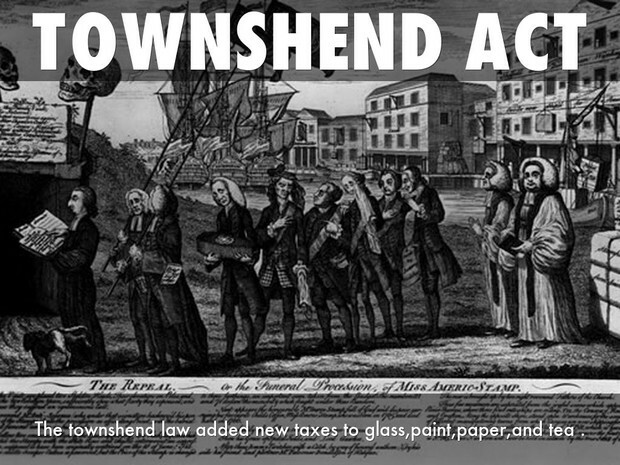 The Townshend Acts taxed imported tea, glass, and paper. There was a group of women called "The Daughters of Liberty" that protested against The Townshend Acts by making their own cloth instead of British cloth. After The Townshend Acts were repealed, they still left tax on tea to show they still had power. 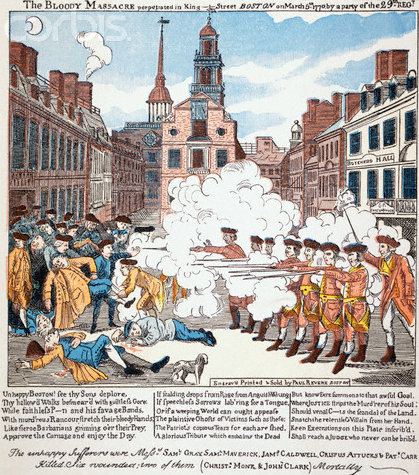 The Sons of Liberty protested against the continued taxation by attacking the homes of British troops and colonial tax collectors. Tension grew as a crowd gathered around an angry colonist arguing with a British soldier. As the tension grew louder, colonists started throwing snowballs at British soldiers and insulting them. The colonists got so loud and angry that a British soldier shot a bullet at one of the colonists and killed him. 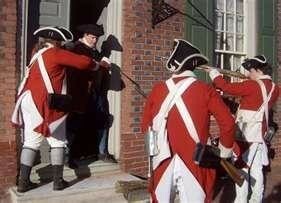 British soldiers started shooting at the colonists repeatedly. Five colonists were killed and the rest of the colonists had to retreat. Samuel Adams responded to this by using the incident as propaganda to influence public opinion. The Tea Act was a law that was passed to only allow the British East India Company was allowed to sell tea to the colonies. Even though it made the price lower, this still angered colonists because they were forced to pay import taxes to Britain. 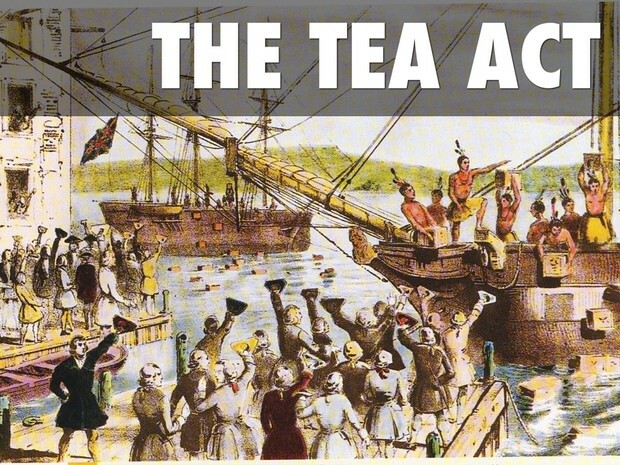 The Sons of Liberty responded to The Tea Act by dressing up as Indians and pushing 342 crates of tea into the Boston Harbor. 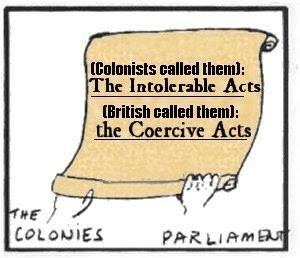 The colonists also called it the Intolerable Acts because they thought it was too harsh. The four laws that were enforced as a result of the Intolerable Acts were that you could not trade from Boston to Britain, you could not trade goods within the colonies, all the goods had to be traded to Boston, and you could not hold a town meeting. These acts made a revolutionary spirit throughout the colonies.